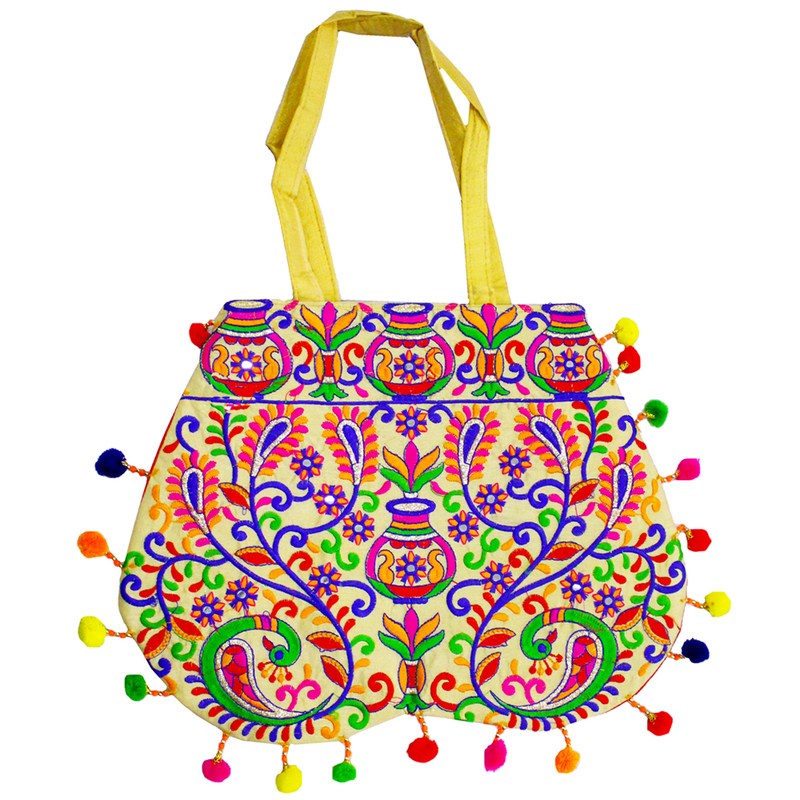 Stylish yet simple Rajasthani banjara work bag is sure to attract viewers once you pick on this small handle bag. Whether for shopping or for Read More..work activities, this bag can definitely follow you anywhere around, in style. It has been entirely manifested with colourful prints. Show Less..